One of the most frequent questions and topics that I see come up on community resources such as StackOverflow, the Confluent Platform mailing list, and the Confluent Community Slack group, is getting data from a database into Apache Kafka®, and vice versa. Often it’s Oracle, SQL Server, DB2, etc—but regardless of the actual technology, the options for doing it are broadly the same. In this post we’ll look at each of those options and discuss the considerations around each. It may be obvious to readers, but it’s worth restating anyway: since this is Kafka—a event streaming platform—we are talking about streaming integration of data, not just bulk static copies of the data. So anyway…assuming we’ve decided that we do indeed need a database, let’s look first at how we can get data from a database into Apache Kafka. The two options to consider are using the JDBC connector for Kafka Connect, or using a log-based Change Data Capture (CDC) tool which integrates with Kafka Connect. If you’re considering doing something different, make sure you understand the reason for doing it, as the above are the two standard patterns generally followed – and for good reasons. 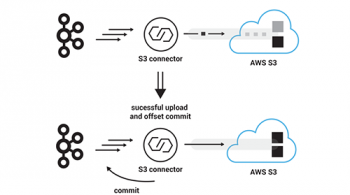 To use Kafka Connect you simply need a plugin that integrates with the technology that you’re interested in. The Confluent Platform ships with several of these plugins, including JDBC, HDFS, Elasticsearch, and S3. You can find dozens more plugins for Kafka Connect here. The Confluent JDBC Connector for Kafka Connect enables you to stream data to and from Kafka and any RDBMS that supports JDBC (which is to say pretty much any). It can stream entire schemas or just individual tables. It can pull the entire contents (bulk), or do an incremental fetch of data that’s changed since the last poll using a numeric key column, an update timestamp, or both. The connector works by executing a query, over JDBC, against the source database. It does this to pull in all rows (bulk) or those that changed since previously (incremental). This query is executed at the interval defined in poll.interval.ms. Depending on the volumes of data involved, the physical database design (indexing, etc. ), and other workload on the database, this may not prove to be the most scalable option. If you want to use the connector for incremental streaming of data, you need to be able to identify changed rows. This means either an incrementing ID column, and/or a column with a timestamp indicating the last change. If these don’t exist then it can be difficult to get them added unless you own the schema for the source data. Sometimes data comes from “blackbox” applications in which you literally cannot change the tables. Other times the data belongs to another team who won’t entertain making a change to their application. The JDBC Connector cannot fetch deleted rows. Because, how do you query for data that doesn’t exist? Depending on why you’re integrating the database with Kafka, deleted records may be required (for example, event-driven services which need to know when an entity no longer exists). There are of course workarounds, some more elegant than others. One example is that espoused by Bjöprn Rost and Stewart Bryson (video / slides), using Oracle’s Flashback feature to actually detect deletes. Other options I can imagine people proposing involve some kind of TRIGGER and a table, replicating in effect log-driven Change Data Capture, which we are going to discuss below. My caution would be that any home brew solution has got to be both scalable and supported. A PoC is one thing, but a deployment to production quite another. So the JDBC connector is definitely the best place to get started with integrating databases and Kafka. But, particularly for streaming data from a database into Kafka, we sometimes need a better option. If you want to go “the whole hog” with integrating your database with Kafka, then log-based Change-Data-Capture (CDC) is the route to go. Done properly, CDC basically enables you to stream every single event from a database into Kafka. Broadly put, relational databases use a transaction log (also called a binlog or redo log depending on DB flavour), to which every event in the database is written. Update a row, insert a row, delete a row – it all goes to the database’s transaction log. CDC tools generally work by utilising this transaction log to extract at very low latency and low impact the events that are occurring on the database (or a schema/table within it). Many CDC tools exist, serving a broad range of sources. Some specialise in broad coverage of source systems, others in just specific ones. The common factor uniting most of them is close integration with Apache Kafka and Confluent Platform. Being able to stream your data from a database not only into Kafka, but with support for things such as the preservation of schemas through the Schema Registry, is a defining factor of these CDC tools. 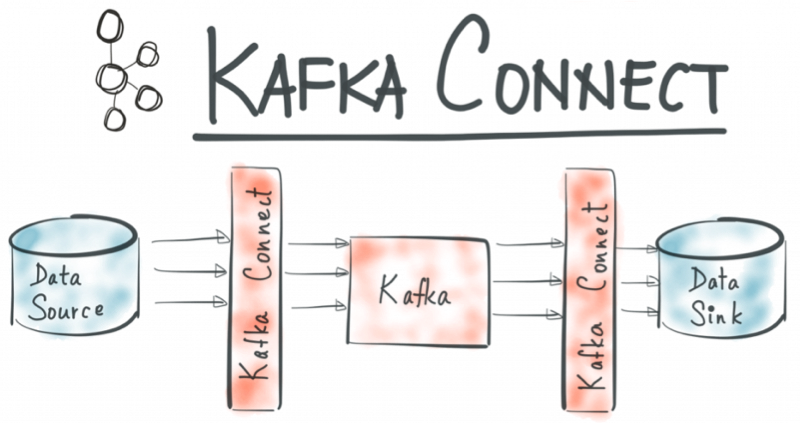 Some are built using the Kafka Connect framework itself (and tend to offer a richer degree of integration), whilst others use the Kafka Producer API in conjunction with support for the Schema Registry, etc. This complexity may well be worth it given your requirements, but be aware that you are adding more moving parts to your overall solution. Join us for a 3-part online talk series for the ins and outs behind how KSQL works, and learn how to use it effectively to perform monitoring, security and anomaly detection, online data integration, application development, streaming ETL, and more. Great article, really clear and useful, e.g. I hadn’t appreciated the point about it being hard to capture deletes. Should Dbvisit Replicate be included in the list of CDC products? Thanks Robin for the interesting post! Thanks Ofir. I’m interested, why use Maxwell instead of Debezium? 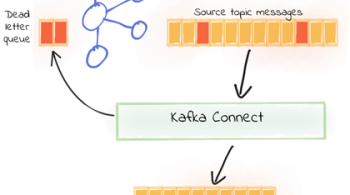 Looks like you miss out on using Kafka Connect and all the nice things that go with it (Avro/Schema Registry support, Single Message Transforms, etc etc). This is perhaps a bit off-topic, but I wonder how this event-based data replication with Kafka can ensure consistency of source and target systems, especially if the replication is used for transactional data rather than for analytics. Imagine source system with big Oracle+CDC sending CHANGE events to Kafka. Then some other process receives them and applies them to target system. The problem is that if even one CHANGE event is missed/dropped/mis-applied, then the systems will go out of sync, and the discrepancy will keep growing because of incremental errors. I wonder if it’s possible to periodically re-sync source and destination somehow to eliminate these discrepancies? CDC is definitely the way to go as most DBAs frown upon running frequent timestamp queries against a production database, or using triggers in any way shape or form. Shouldn’t you have included Striim and HVR (and probably others) in the list of solutions though? Thanks for the comment. The reason I didn’t list Striim and HVR is that they don’t integrate with the Schema Registry, and thus for an end-user building solutions becomes less “plug and play”. Since data is coming from a relational source it has a schema and preserving this in a standardised way as part of the pipeline is, in my view, very important. Does the Kafka Connector for CDC work on mainframe z/OS? IBM IIDR seems like it’s for the LUW platforms. Yes, Kafka Connect can ingest the existing contents (static) of a table, as well any changes to that data. I have already twitted about this issue, asking for the official documentation to be updated. Thanks for the comment. You highlight an issue with query-based CDC in general; you are not guaranteed to get all records, for a variety of reasons (e.g. polling interval) and this one that you point to. It’s why I always recommend “proper” log-based CDC, e.g. with Debezium. it seems like that io.confluent.connect.jdbc.JdbcSinkConnector in kafka-connect-jdbc dose not support data in kafka wrote whit debezium,am i correct? if so,is there any open source sink-coonnect do support ,or i have to code myself? The JDBC Sink is agnostic to the source of the data. The data just needs to be in the correct structure, that is (a) with a schema and (b) not nested. There’s no reason why data coming from Debezium can’t be like this. Use Avro, or JSON with enable.schemas=true. If you need to flatten the data Debezium provides a io.debezium.transforms.UnwrapFromEnvelope Single Message Transform.